Since 2003, Healy Consultants Group PLC has assisted our Clients with migrating to Monaco and starting their business there. Our services include i) Monaco business registration ii) government license registration iii) personal and corporate bank account opening services in Monaco and abroad iv) employee recruitment v) visa strategies and vi) office rental solutions in Monaco. 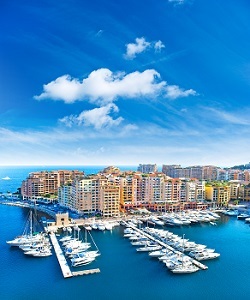 Foreigners can request a residency permit in Monaco provided i) they have a lease agreement for a residential address in Monaco ii) have no criminal records and iii) have sufficient income (at least €0.5 million per year in most cases). Forming a company in Monaco is not required for eligibility. Monaco implements no withholding taxes are foreign exchange controls and the country is part of the Eurozone. Monaco has a favourable business environment for the shipping industry. These companies are entitled to various tax benefits on the activities conducted by them including leasing, chartering and transportation, such as full exemption from paying corporate income taxes and tonnage tax. Because of complex and lengthy government approval procedures, Monaco company formation takes up to six months. Companies being set up to conduct activities such as commercial banking, investment management, notary services, legal services, architects, certified public accountants and insurance companies are subject to additional approvals. Most entrepreneurs engage the services of Healy Consultants, who will efficiently handle all government approvals, as well as liaise with local Monaco notaries, who have the exclusive authority to legally register Monaco companies. The country is most likely to witness a major depletion in its natural resources since there is no practice of eco-tourism or sustainable development in Monaco. However, the principality has recently launched various programs such as the Energy Transition Mission to support and encourage green initiatives in Monaco. Monaco is a cauldron of international entrepreneurs mainly in the financial luxury and tourism industry, where most of the population is foreign, the perfect ingredients for creativity and exchange of skills across industries and cultures, stoked by a liberal, entrepreneurial free market. To help us engineer the optimum Monaco corporate structure, please complete the 3-minute questionnaire below; then press the submit button below.